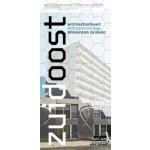 This architectural map of Zuidoost provides an overview of the architecture, with a general index and an index of architects. This architectural map of Zuidoost provides an overview of the architecture, with a general index and an index of architects. Explanatory notes on the architecture and urban design sketch a picture of the eventful history of one of the most multicultural and idiosyncratic city districts in the Netherlands.